Indian Tycoon Vijay Mallya, who was behind the collapsed Kingfisher Airlines and also behind India’s largest alcoholic drinks empire, is to face charges of fraud and money laundering worth up to £1bn in India and Sajid Javid, the Home Secretary, has approved his extradition finally. He is alleged to have diverted funds from bank loans including from state-owned IDBI Bank. 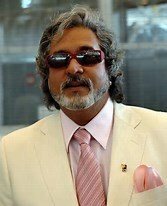 Mr Mallya has now 14 days to appeal against the decision. Mr Mallya confirmed yesterday via Twitter the he had initiated the appeals process. The Home Secretary’s order comes after a UK court ruled in December 18, that Mr Mallya had a case to answer on criminal charges linked to Kingfisher Airlines’ collapse in 2012. The Indian government has been trying to secure the extradition of the high rolling businessman for over two years, and as a part of its drive to clamp down on so-called crony capitalism under the previous political regime. Mr Mallya 63 known as the King of good times because of his flamboyant lifestyle claims he is the victim of a high profile witch-hunt led by Mr Modi, the prime minister. The flashy tycoon fled India in 2016 after angry creditors sought a restraining order to prevent him from leaving India. He has since claimed he made an “unconditional” offer to pay what he owed in full in July 2018.